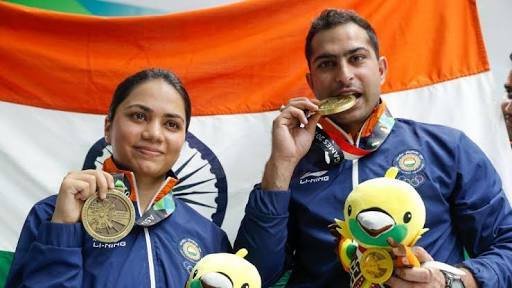 The Indian pair of Apurvi Chandela and Ravi Kumar bag Bronze in the 10m Air Rifle Mixed Team event of the opening day of the 18th Asian Games 2018 in Jakarta. The Indian pair scored 429.9 points to win India’s first medal of the 18th Asian Games 2018. While Chinese Taipei pair of Yinshin Lin and Shaochuan Lu bagged the gold medal in the event. Chinese pair of Zhao Rouzho and Yang Haoran settled for the silver medal.